You very own frog with its very own lily pad! Just like the amphibious Frog lives in on both water and land, so can the Ki-Gu-Mi Frog live in your home or office! 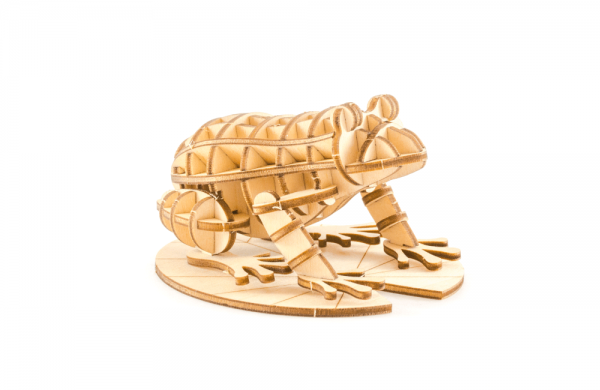 This puzzle also features a laser-etched lily pad for the Frog to sit on. Ki-Gu-Mi fun fact: Frogs don’t drink water like we do. They absorb water directly through their skin in an area known as the ‘drinking patch’.